Anti-Everything is back at Club Absinthe! The Fazooli booth will be parked at Club Absinthe on Saturday, November 28th, with some cool new Xmas cards that I’ve been working on so you can beat the mail rush. Proceeds go to a great cause this year – so get on it and help me spread some Xmas cheer! These are available at Compilation, as well as through me – I accept PayPal & eTransfers. I’ll also have free guestlist for you if you message me. Come check it out! Had an awesome night at Art Crawl at Compilation – so many awesome people came to check it out, I can’t wait to see the test screening footage Advanced Vision captured! Stay tuned – I’ll post some when they’re available! In the meantime, my stuff is still available at Compilation until after Christmas, so check out some cool gift ideas if you’re in the hood! I’ll be at Compilation this Art Crawl with Advanced Vision for a Pop Art Party on Friday, November 13th. They’ve transformed the shop to look like The Factory and there’ll be a dope test screening booth to do some filming with cool eyewear from Advanced Vision – so be sure to check it out when you’re out there Art Crawlin! 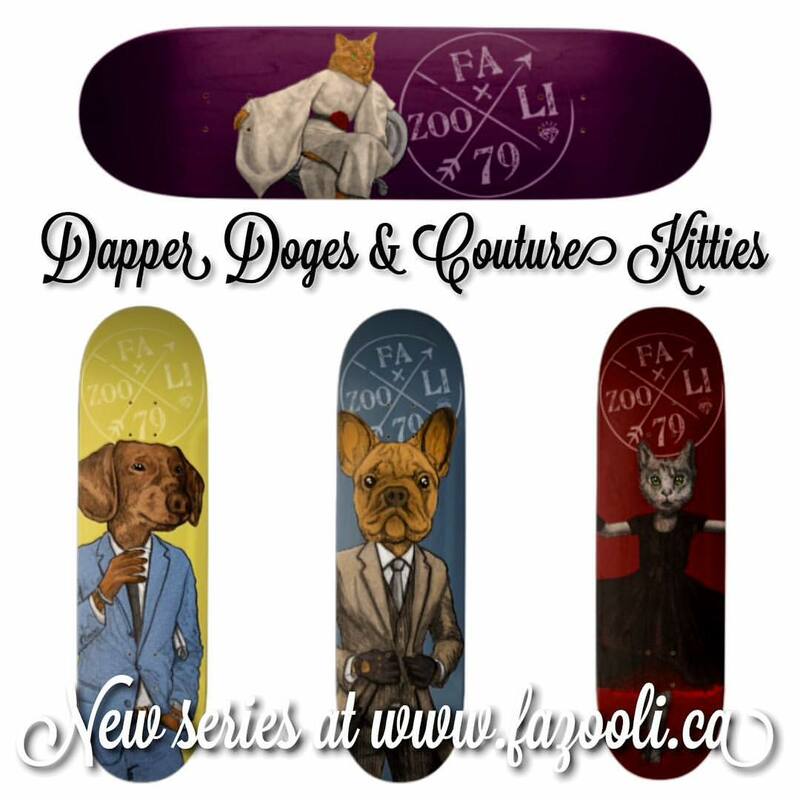 New Skateboard Series Available Now at Fazooli.ca!